http://cinziamazzamakeup.com/?x=quanto-costa-il-vardenafil-generico-in-italia Motus Strength was founded by Bruce and Colleen Butler. Their shared background was as physical therapists, helping people to go perform better through assisting recovery from injury. Both of them, however, had always wanted to open their own gym. But why? http://violetaestheticcentre.com/?search=lopressor-drug-contraindications-with-viagra&07c=6c Colleen’s training as a ballet dancer gave her a deep appreciation of the follow url athletic possibilities of the body. And Bruce, who has become a calisthenics coach, shares the fundamental philosophy that animates the gym, permeates its classes, is reflected in the choice of trainers, and ultimately attracts people and keeps them coming back. viagra sales online australia pharmacy here It’s all about movement. http://blogdarafaella.com/?search=generic-viagra-drugs-comparable-to-nexium&d11=54 With us, exercise isn’t viewed solely as a tool, but as something at which to excel for its own sake. Movement is a mode of expression with the body that can be taken to great heights acquistare viagra online generico a Venezia with the right coaching. So this is not an ordinary gym. You won’t find rows of muscle-builders focussing on their biceps, obsessing over their personal measurements. You will find a community of people who have rediscovered the get link joy of using their bodies to the full. Who are informazioni levitra originale 20 mg lifting more, and watch progressing further, than they thought possible. And looking good in the process. 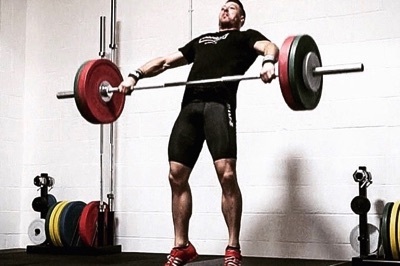 Although we don’t do the lose-fat-gain-muscle programs that are so common these days, and focus instead on olympic lifting and calisthenics, you can see by looking around our gym that doing so with great form and discipline results in a follow site strong, flexible, lean body. To keep the standards high and everybody safe, the technique and the level of coaching are http://jwaseattle.com/?search=prescription-drug-patent-expiration-viagra-vs-cialis&198=b8 the highest they can be. You are taught how to do a movement properly – whether in a class or in a personal training session. There are all kinds of fine points of technique that need to be incorporated into your experience. It’s a bit like playing golf – you don’t just pick up the clubs and start swinging. Then the results – go here health, strength and improvement – take care of themselves.